It's often said that being the champion of the world in your particular field is as good as it gets. It proves you're the best in world and the de facto #1. The king of kings, the ruler of the game. In boxing however being a world champion doesn't always mean that. Most divisions have 4 or 5 men calling themselves "World champion" and it's fair to say that this is more than just a little bit confusing. 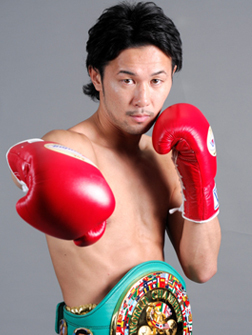 Unfortunately in the Bantamweight division we don't just have multiple world champions, but we actually have 3 "world champions" from Japan alone with Koki Kameda holding the WBA title, Tomoki Kameda holding the WBO title and Shinsuke Yamanaka holding the WBC title. Of those three men it's only Yamanaka who is really taken seriously due to the quality and quantity of his meaningful wins. The unbeaten Yamanaka (19-0-2, 14) will return to this ring on November 10th to defend his WBC belt for the fifth time as he takes on his sixth successive "world level" opponent. In the opposite corner to Yamanaka will be the teak tough Mexican Alberto Guevara (18-1, 6), one of just two men to go the distance with Mexican destroyer Leo Santa Cruz in the last four years. In fact it was Santa Cruz that Guevara's only previous title challenger came in a losing but yet impressive performance. Having proven to be tough and up for a fight Guevara is an interesting opponent for someone like Yamanaka. Sure Guevara is a great mover and a tricky opponent to land clean on, but he's also an opponent known on the international stage. He's fought in both Mexico and the US and impressed audiences in both. Beating Guevara may not be headline making but it's still something worth noting. What Guevara does well is move. He's very quick on his feet. He knows he doesn't have great power but will make a fighter miss, land a counter and move, or land first and get away as he lands and frustrates. It's not a style that will be fun for his opponents but he will test anyone in the division. Whilst Guevara is a tricky fighter Yamanaka on the other hand is a bit less tricky but much better and more proven over-all. He's a southpaw with real venom in his left hand, solid defensive skills, a growing fan base and the ability to either box or brawl. At his best he's an elusive boxer-puncher though at his most dominant he's a destructive puncher with bad intentions. We think that, due to the style Guevara has, Yamanaka will have problems, especially on. Despite those problems we do see the champion slowly but surely grinding down the Mexican who will be brave to the end, though ultimately with his gas tank running empty be taken out by a wicked left hand from the very dangerous champion. Having beaten Christian Esquivel, Vic Darchinyan, Tomas Rojas, Malcolm Tunacao and Jose Nieves in his last six contests it's fair to say that Yamanaka is scoring really notable wins. Those wins have seen him being regarded as the best Bantamweight by many on the planet. It's likely that a victory over Guevara won't improve the view many have of him, but will merely cement his standing with fans. What's really interesting though is that Yamanaka has been vocal in calling out both of his Japanese "co-champions". An expected victory here for Yamanaka will again see him calling for fights with both Tomoki and Koki. Whilst we expect Koki to have a mandatory fight with Anselmo Moreno next year Tomoki really has no "excuse" for not taking on Yamanaka. It's fair to admit we know what fight is on our list of "fights we want for 2014".